I have 5 years of experience as a Technical/Customer Service Specialist assisting customers across U.S. and Canada through Outsourcing Companies with one of the top Electronics...Read moreI have 5 years of experience as a Technical/Customer Service Specialist assisting customers across U.S. and Canada through Outsourcing Companies with one of the top Electronics Industry, to one of the world's leading PC and printer manufacturer, I've been awarded for numerous accomplishments such as Rock star Performance Award and Elite Sales Performance Award for exceeding goals and providing excellent Customer Satisfaction. Focus on the client´s need and get the job done efficiently and effectively is my top priority. 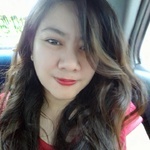 I am punctual, goal-oriented, highly motivated, reliable, fast learner, efficient, able to do multi-tasking, adaptable, able to pick up a new technique, and have good interpersonal and communication skills. I ask if I don't clearly understand the instructions. Software experience includes Zen desk, Salesforce, CDAX, basic WordPress, Google Apps, MS Office Apps, native CRMs are just to name a few. I have a strong desire to learn new set of skills as it would make me more versatile as a freelancer.